The comments by WHO Director-General Tedros Adhanom Ghebreyesus came in the wake of commentaries in two medical journals appealing to the CDC to return to the epidemic zone in Congo — saying its expertise is needed. The U.S. experts have been sidelined for weeks, ordered away from the region because of State Department security concerns. Violence by rebel groups has complicated efforts to battle what is now the second-deadliest Ebola outbreak. The CDC — which is twice as large as WHO — has said its staff would return to the epidemic area once it is safe. Tedros said the U.N. health agency mostly needs the United States to continue the financial and other support it has provided. He noted the U.S. and many other developed countries have security guidelines that prevent deployments in conflict-ridden zones like the Ebola-hit area of eastern Congo. Tedros praised a commitment from U.S. President Donald Trump, expressed at the Group of 20 summit in Argentina over the weekend, about his administration’s “support in any way possible” in the fight against the outbreak. “They promise to continue supporting us in finance and other (ways), and that, I think, would suffice,” Tedros said. He said experts from the CDC are still helping, sharing data and analysis. 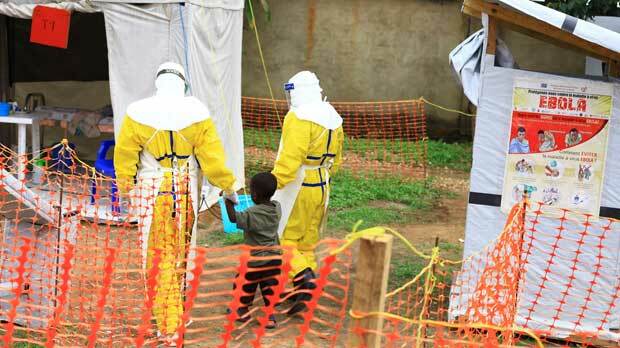 The Ebola response director for the International Rescue Committee, Dr. Stacey Mearns, said the absence of CDC experts can be felt acutely, telling The Associated Press on Friday that they have rich experience in tracking cases, testing and treatment. Tedros said WHO has now counted some 440 cases of Ebola and 255 deaths from the outbreak in Congo’s North Kivu regions that first emerged in August. He said the risk of international spread remains. Unlike the far-deadlier outbreak in West Africa that killed more than 11,000 people from 2014 to 2016, international health experts have this time deployed a new experimental vaccine to fight Ebola. Tedros said some 39,000 people have been vaccinated during the current outbreak. Thank you for your interest in mOppenheimTV. Do you have a question or comment about our programs or services? Please get in touch with us! We welcome any feedback you may have.